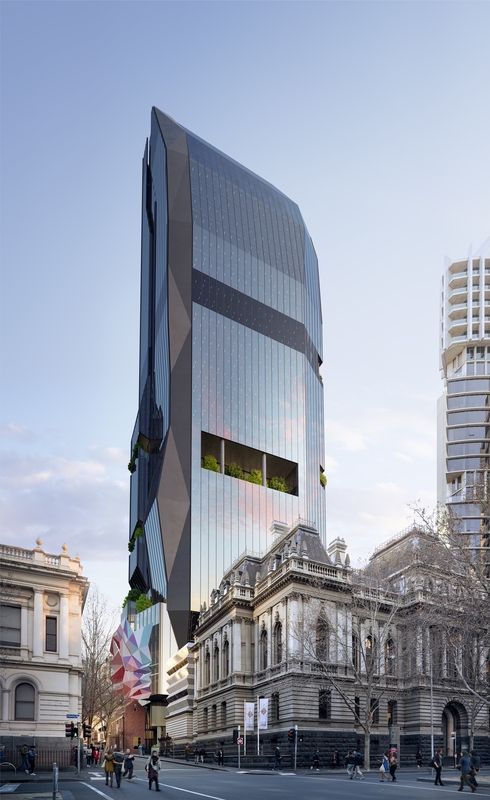 A long dormant project is set to finally be realised after it was announced late last year that ISPT has partnered with Victoria University and the Victorian Department of Education and Training to develop a new 32-storey vertical campus in the at 364-378 Little Lonsdale Street in Melbourne's CBD. The Jackson Architecture-designed project was covered all the way back in March of 2013 when Urban was first launched, and was also one of the first projects added to the Project Database. The 24,000 sqm vertical campus will be developed by ISPT and will incorporate office and teaching space for key academic activities, to be leased back to the University, consolidating its city campuses into a single new precinct. Victoria University hopes the new precinct and the University’s greater presence on the western edge of the Hoddle Grid will assist the University in forming better connections to its nearby campuses across the west of Melbourne. ISPT says the Victoria University Precinct project represents a prime example of the company's strategy to "pursue true development opportunities in partnership with customers to unlock development returns for our Investors." As part of the tender ISPT will also acquire two heritage-listed properties from Victoria University; the Former Records Office at 287-295 Queen Street and the Land Titles Office at 247-283 Queen Street. VU Research centres will also have an important presence within the new precinct, as will the VU Law School, which will continue to operate in its current building, as well as benefiting from the new spaces within the precinct. Work on the 32-storey tower is set to commence next year with completion slated for 2021. Students are expected to begin studying in the new precinct in the first semester of 2022. The new City West Precinct will revitalise this iconic part of the city, restoring the historic Land Titles Office, while also improving the local amenity and spawning a reborn urban experience in the western parts of the Melbourne CBD. We are fortunate to be partnering with ISPT on this project which will help us to create a world-class precinct for our students in the CBD, while also establishing an infrastructure fund to enable exciting investment opportunities for our campuses in our heartland throughout the west of Melbourne. We look forward to working collaboratively with Victoria University to ensure we deliver a new campus and educational environment that meets the current and future needs of staff and students, while creating an architectural statement befitting the prominence of the site in a CBD context. The transaction demonstrates the long-term capital alignment of industry superannuation funds with the tertiary education sector. This project is a key addition to our development pipeline and represents an important milestone in our participation into the education sector. Education is a major services export contributor, critical to the economy over the medium to long term, and this project will diversify our exposure and that of our Investors to this important sector.